Thursday, November 15, 2012, at Waldorf Ford starting at 5pm, global recording artist David Correy made his return to Maryland to sign autographs at Waldorf Ford. The up and coming artist took time out of his busy schedule, to support the local food bank, as did many Southern Maryland residents. Born in Brazil and raised in Maryland, his musical talents took him all over the world. Beyond the X-factor, David has received a full scholarship Berklee College of Music in Boston, and has started his own record company, Urban Rock Records. “From one dreamer to another” captions a picture of David Correy signing an autograph for a fan on the star’s facebook. David would end up signing a plethora of autographs, for members of the general public, and Waldorf Ford employees, as well. Below David can be seen wearing a plush heart attached to a jacket, standing next to Waldorf Ford Dealer Operations Manager, Lisa Stephens. The autograph would be displayed in her office window. After the event, everyone, Waldorf Ford, the general public and David Correy, agreed that the event was successful. Most importantly, the large number of attendees generated funds for the local food bank. We would like to thank all that attended and hope that you will join us for future events. As we get closer to Memorial Day weekend, there’s closer focus on gas prices for the heavily-traveled holiday period. For the moment at least, fuel flows about 25 cents cheaper per gallon than this time in 2011, according to AAA. That’s also about the current price gap between regular and premium, give or take. Some drivers are doubling-down their savings. They’ve stopped running higher-grade gas in favor of the lower-octane option. Though as the Los Angeles Times cautions, saving a little now could come back to haunt motorists down the road. Engine knock, characterized by a metallic pinging sound, can occur when an engine is under load and things get out of sync in the combustion chamber, with misfiring low-grade gas often the catalyst, so to speak. It’s not a beautiful noise, and it’s not at all good for an engine’s health. If you don’t want to go to the car wash, here are some tips from the good folks over at ConsumerReports. Don’t… wait for a layer of crud to accumulate before washing. Dead bugs, bird droppings, and chemicals from the atmosphere all leach acids that can strip away wax and eventually eat into your car’s paint. If left too long, they can cause damage that requires sanding and repainting the area to correct. Do… wash off dead bugs, bird droppings, and tree-sap mist as soon as possible. Other than this, a weekly car wash will keep the finish in its best shape. In addition, if you live in an area that suffers from acid rain, rinse your vehicle off after a period of rainy weather. Otherwise, acidic chemicals in the rainwater will be left on the surface after the droplets have evaporated, leaving a mark that can permanently mar the paint. What kind of products should I use? Don’t… use household cleaning agents like hand soap, dishwashing detergent, or glass cleaner on the paint. These aren’t formulated for use on a car’s paint and may strip off the protective wax. Do… use a dedicated car-wash product, which is milder and specifically designed for use on automotive paint. Apply the suds with a large, soft natural sponge or a lamb’s-wool mitt. See our car wax buying advice for tips on all types of waxes. Grease, rubber, and road-tar deposits picked up from the road often accumulate around the wheel wells and along the lower edge of the body. These can be stubborn to remove and may require a stronger product, such as a bug-and-tar remover. Use a soft, nonabrasive cloth to remove these deposits, as they can quickly blacken your sponge. Use a separate sponge to clean the wheels and tires, which may be coated with sand, brake dust, and other debris that could mar the car’s finish. Mild soap and water may work here; if not, a dedicated wheel cleaner may be required. Be sure the cleaner is compatible with the type of finish (paint, clear-coat, chrome, etc.) used on the wheels. A strong formula intended for mag wheels, for instance, can damage the clear coat that’s used on the wheels that come on today’s cars. To be on the safe side, choose a cleaner that’s labeled as safe for use on all wheels. Are there any general guidelines I should follow when washing a car? Don’t… wash your car when the body is hot, such as immediately after driving it or after it has been parked in direct sunlight for awhile. Heat speeds the drying of soap and water, making washing more difficult and increasing the chances that spots or deposits will form. Don’t move the sponge in circles. This can create light, but noticeable scratches called swirl marks. Instead, move the sponge lengthwise across the hood and other body panels. And don’t continue using a sponge that’s dropped on the ground without thoroughly rinsing it out. The sponge can pick up dirt particles that can scratch the paint. Do… rinse all surfaces thoroughly with water before you begin washing to remove loose dirt and debris that could cause scratching. Once you begin, concentrate on one section at a time, washing and rinsing each area completely before moving on to the next one. This ensures that you have plenty of time to rinse before the soap dries. Start at the top, and then work your way around the car. Work the car-wash solution into a lather with plenty of suds that provide lots of lubrication on the paint surface. And rinse the sponge often. Using a separate bucket to rinse the sponge keeps dirt from getting mixed into the sudsy wash water. When rinsing, use a hose without a nozzle and let the water flow over the car from top to bottom. This creates a sheeting action that helps minimize pooling of water. How should I dry the car when I’m done? Don’t… let the car air dry, and don’t expect a drive around the block to do an effective job. Either will leave watermarks, which in areas with hard water are the minerals left after evaporation. In addition, don’t use an abrasive towel or other material that can leave hairline scratches in the paint. Do… use a chamois (natural or synthetic) or soft terry towels. If you choose towels, you may need several. It’s best to blot the water up instead of dragging the towel or chamois over the paint. The drying process can be speeded up by using a soft squeegee to remove most of the water on the body, but be sure the rubber is pliable and that it doesn’t pick up bits of dirt that can cause scratches. Well, there you have it. It’s a lot of work to keep your Ford vehicle clean, but will be well worth it when you decide to trade it in. Stay tuned as we add more articles that hopefully you will find informative. If you have a topic you would like us to cover, feel free to email us at leads@waldorfford.com. Waldorf Ford is located on Route 301 North in Waldorf MD, just 15 minutes south of Washington DC. Coming Late 2012 is the 2013 Focus ST – did you say HOT RIDE! This racing inspired model is going to turn heads for sure. Now, don’t think this is just another wanna be, the development was overseen by Ford’s director of Global Performance Vehicles, Jost Capito. Before coming to Ford, Jost was the head of Red Bull Sauber’s F1 program, headed Porche’s racing efforts and in 1985 won the Paris-Dakar race truck category. So we are thinking this guy knows a little bit about racing. The Focus ST will come with a 2 liter ecoboost engine putting out 247 horsepower and a 6 speed manual transmission. 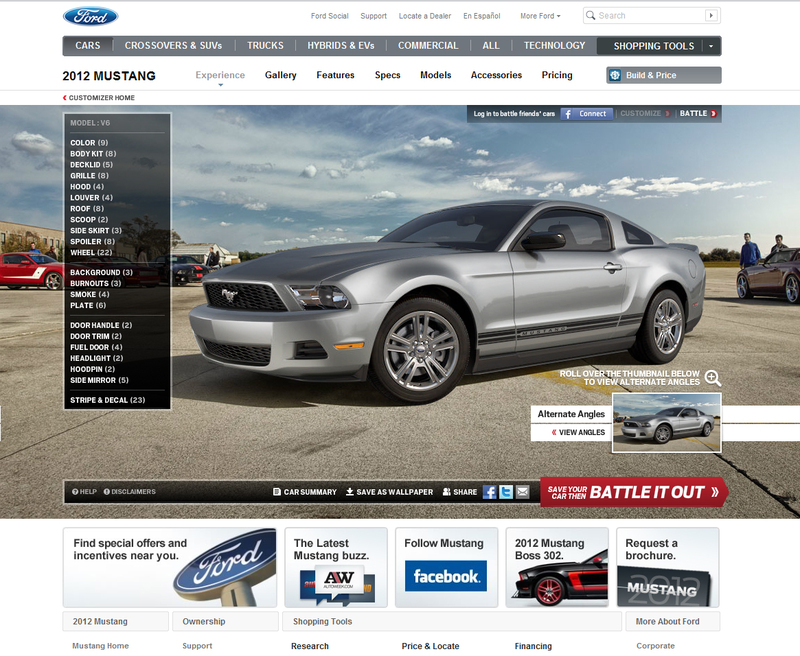 Also Ford has added high performance brakes and a sport tuned suspension. The exhaust has also been upgraded and tuned to give this racer a throatier sound. Finally, the ST will have lower springs and stiffer shock absorbers which allowed Ford to lower the center of gravity and giving it a meaner stance. The look of the ST is different too. It will have a unique black honeycomb grille and a larger rear spoiler for better high speed stability. The colors are unique to ST as well; performance blue, race red, white and tangerine scream, the signature color for ST. Inside you will have the benefit of adding Recaro race inspired seating and specially designed sport pedals. They even redesigned the rear seating to give more stability to those passengers during vigorous driving maneuvers. So, stay tuned for more news on Focus ST. If you want to find out when we expect them to start arriving here at Waldorf Ford, check us out online at waldorfford.com or stop by and see us. We are located on Route 301 North in Waldorf, just 15 minutes south of Washington DC. There comes a point in most everyone’s life that they need to replace their current vehicle. I don’t know about you, but looking for a replacement normally isn’t something I get too excited about. Narrowing down the choices, finding what I want, are just two of the decisions that need to be made. Then it’s – who do I buy it from, negotiating a price, do I want a extended warranty or accessories are more choices. Then its on to financing, do I use my own bank or the dealer, 60 months or 72 months – ARGHH! My head is spinning just thinking about it all. Our previous blog post “Things to consider when car shopping” had some good pointers on choosing the vehicle, but then comes the question, how do you find it? Some of the obvious places to look are the major auto classified websites like AutoTrader, Edmunds, and Kelley Blue Book. These sites not only list vehicles for sale for lots of dealers in your areas, they also have vehicle and dealer reviews. They can be a big help in locating what you are looking for. You should also look at your local dealers website. You can use Google to find them or if you saw a vehicle they had listed on one of the classified sites, you can access them through there. You can also check your local newspaper and see if they have their website advertised there (I know at Waldorf Ford we have it listed on every page of the advertising catalog we do every other week that goes in the mail and newspaper). Once you have located the vehicle, just submit a quote to continue your journey to a new car purchase. Stay tuned for future articles to help you through the actual purchase of your next vehicle. As always, when you are ready to buy your new car, we hope that Waldorf Ford will be on your short list of places to shop. We are located on Route 301 north in Waldorf MD, just 15 minutes south of Washington DC. 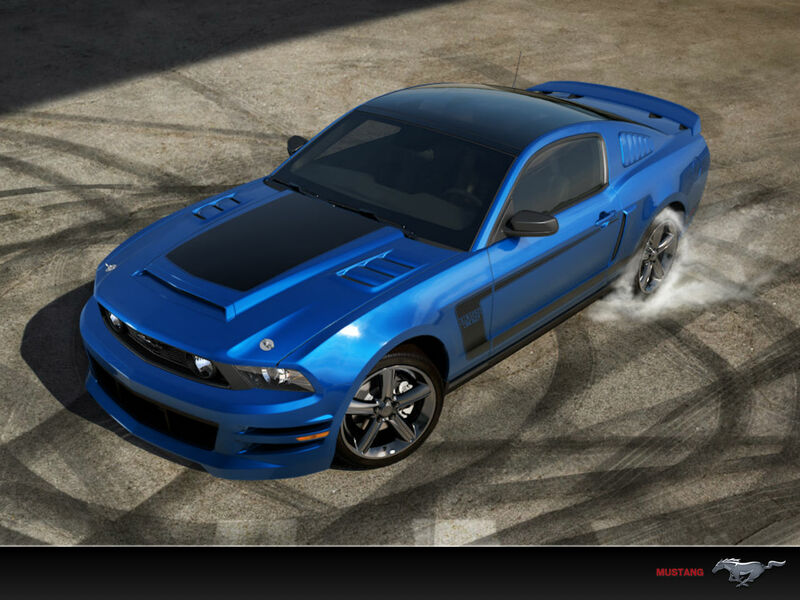 How many ways can I customize a Mustang? “Any customer can have a car painted any colour that he wants so long as it is black.” Henry Ford. The thinking at Ford Motor Company has changed a lot since 1906 when Henry Ford made the above quote. Imagine today telling a potential Mustang owner (or any other Ford model) that they can only get their car in black? If the amount of customization is any indication, This year promises to be a spectacular year for the classic car. For the V6 model ONLY there are 9 color choices, 8 body kits, 5 different decklids, 8 grilles, 4 hoods, 4 louvers, 8 roof choices, you can get it with or without side scoops, 3 side skirts, 8 different spoilers, and 22 different wheels – YES, 22 WHEELS! That isn’t it either, there are choices for door handles, door trim, fuel doors, headlights, hoodpins, side mirrors and 23 choices for stripes and decals. What is even more amazing is that this is JUST THE EXTERIOR! Finally the icing on the cake is that you still have 3 other trim levels to choose from and customizations for all of those! So, when you are ready to take the plunge and start shopping for a 2013 Mustang, and you start feeling a little overwhelmed by the choices, stop in and see us at Waldorf Ford. We will be happy to sit down and go through it all with you and help you make your PERFECT Mustang. Waldorf Ford is located on Route 301 North in Waldorf, just 15 minutes south of Washington DC. Call 800-883-1487.